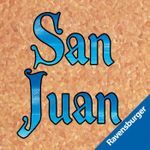 This is the iOS implementation of the card game San Juan by Ravensburger Digital GmbH. Single player games are against up to three AI of different levels. Local and online multiplayer (GameCenter supported) are also available.